Series of shampoos br.Animology presents a unique set of products for hair care for dogs. Stylish packaging, beautiful fragrance and excellent cleansing properties you'll love. Set Animology shampoo is most popular in its category in the UK especially for operators of dog salons and Mark became the recipient of several awards. 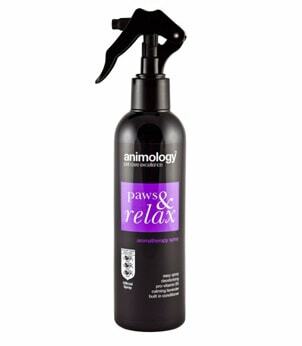 Animology Aromatherapy Spray Paws & Relax - relaxing lavender. Soothing aromatherapy lavender spray on hair enriched with vitamins and conditionersuitable for general calming and relaxing dog. The spray also removes odors hair and is suitable for use to swim.